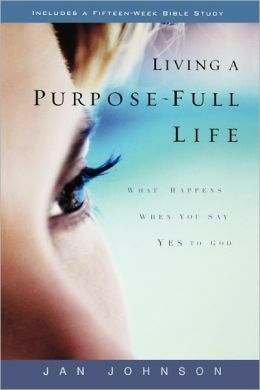 One of the most transformative books in my life has been Jan Johnson’s Living a Purpose-full Life. I came across it in my twenties – a decade that often lacks clarity, direction, and purpose – and have read it multiple times over the years. One of the most helpful themes that emerged for me was the idea that our life purpose transcends our life’s current situation. Johnson suggests that knowing our God-planted purposes helps us to discern direction in unclear times and make decisions when we feel in the dark. Feeling isolated from a combination of staying home with small children and living in a tiny rural town, this was a relieving idea to me. I had just finished a degree in Multicultural/Multilngual Education, and we moved to an area that, to quote one principal, was “99.9% white.” I was also discovering that staying home full-time with toddlers might very well push me over the edge of sanity. Utilizing my professional training, the prospects of living out specific goals in my new context appeared bleak. These are purposes I can live out regardless of my life’s situations. They help me decide when to say yes and when to say no, how to pursue jobs, and even how to spend my money. Over the next few posts, I thought I’d unpack how these purposes have emerged, and what they mean to me. Speaking for the unheard emerged as one overarching purpose for my life. My initial phrase for this idea was being a voice for the voiceless, but over time, I grew uncomfortable with the term voiceless, for so many of the people I knew had very real and valuable voices. The larger issue was that they were not being heard by those who held the channels of power. While in no way do I consider my voice more worthy than others, I am quite cognizant of the privilege that my education, citizenship, economic class, and race carry, and the access this gives me to power. As a result, it is important to me to use these privileges for others’ benefit rather than my own. It is in this spirit that I use my voice to “speak for the unheard”. In the isolation of the midwestern cornfields, speaking for the unheard meant listening to those who often didn’t fit in the mainstream and pursuing avenues for others to hear their stories. It meant persevering when I felt like giving up, and weeping with those who wept when no one else would listen. Teaching for several years in an urban context gave me a glimpse into a world that still shapes how I advocate for the public good through actions like my voting record and professional pursuits. Being bilingual continually allows me to apply my purpose quite literally with those who don’t know English. Teaching English as a second language does this as well. Another literal application came in caring for my babies who needed me to attend to their voice and respond. While it sometimes felt their voice was a bit *too* loud (especially at 2 am on a cold winter’s night), attending to their needs taught me how to think of someone besides myself one step at a time. We regularly fund microloans on Kiva.org to give voice to those seeking to improve the world around them in order to empower voices of global entrepreneurs that our world needs to hear more from. Rather than shopping at corporations that often underpay the workers who make the products, I try to frequent thrift stores like Goodwill who channel my money into restorative efforts for those in need like job training or community projects. City or cornfield, home or abroad, I walk in purpose to speak for the unheard. Ironically, sometimes this means that I only listen – listen to stories of the oppressed, tales of the broken, or small victories that no one else will ever hear. And sometimes it means I speak, even if I must stand against the mainstream, quivering in my boots, challenging those who hold the power to see beyond their own two feet. Daily, it means that I pray for guidance in the next step, both speaking and listening to the One for whom no voice is left unheard.